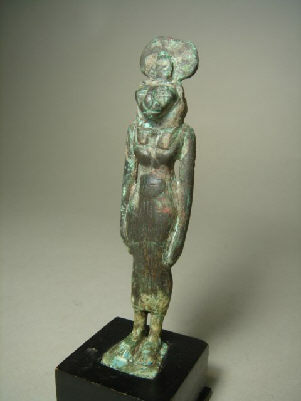 Bronze statuette of the goddess Sekmeth. Late Period, c. 712-332BC., H: 4". It sold for US $800.00. eBay May-06. 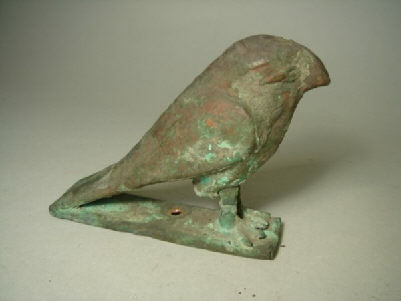 Bronze of the god Horus depicted as the falcon. H: 3.25", L: 4". Late Period, c. 712-332BC. It sold for US $500.00. eBay May-06. 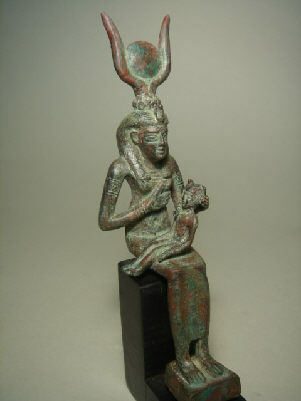 Bronze statuette of the goddess Isis. 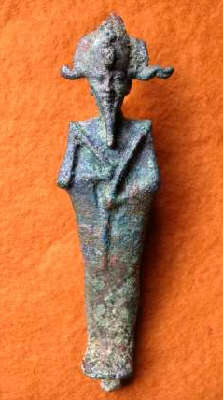 Saite Period, 26th Dynasty, 664 - 525 BC. H: 7". It sold for US $2,000.00. eBay May-06. 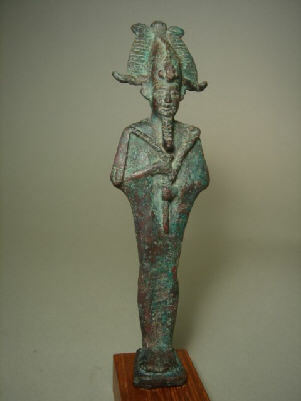 Bronze statue of Osiris, mummiform, wearing Atef crown and holding a crook and flail. Saite Period, 26th Dynasty, 664 -525 BF. . H: 7 3/8". It sold for US $1,500.00. eBay May-06.